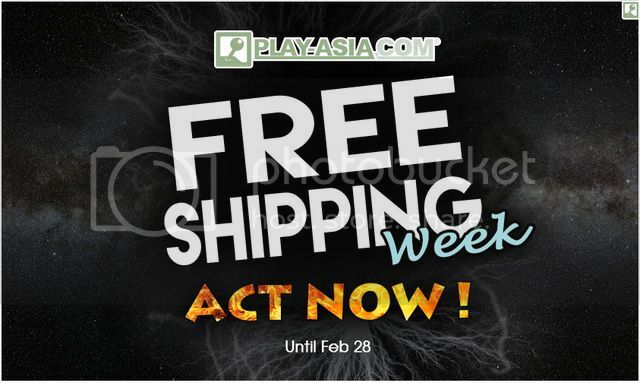 Dr Jengo's World: Play-Asia offering Free Shipping for a Week! Some great news! Play-Asia will be offering free shipping globally from now till Feb 28! All orders will be shipped through registered airmail ONLY. Maximum order weight is 1KG. Order value must be more than $10 USD. Promotion ends February 28th, 11:59 PM PST. With tons of Asia Exclusives including a variety from Japan, this is a great time to get something that you have always wanted but can't bring yourself to pay the shipping costs. There's also some really good discounts at the Daily & Weekly Deals section.